Welcome to Northern Vietnam, we are confident to give you the best trip when coming here. 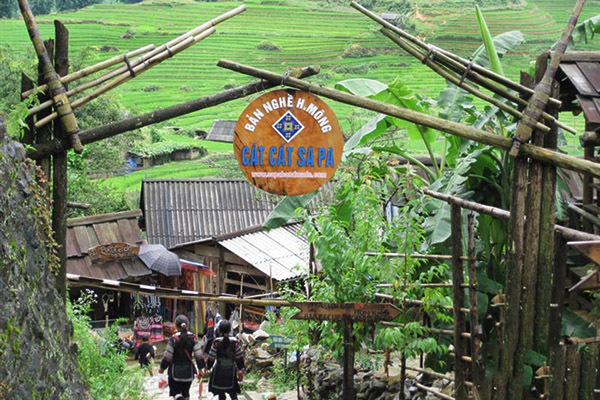 You have just spent 3 days to experience in the famous destinations in Hanoi and Sapa. 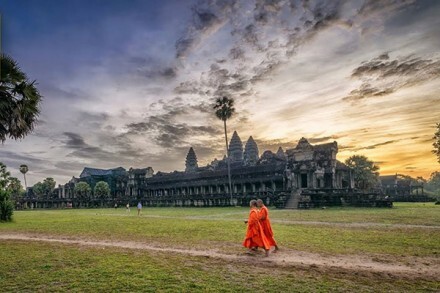 The north of Vietnam is so great because it offers wonderful opportunities to meet the strange folk in the peak of mountains as well as knows one of Asia’s most exciting cities like Vietnam’s capital Hanoi. Not only that, it is easy to compare the mountainous countryside and the hustle and bustle of Hanoi, with plenty of opportunities for trekking and local village visits. Nowadays, Travel Sense Asia will provide the useful information of several places to visit in North Vietnam. For many experienced years, the most reason making the best trip for travelers is well-preparation. 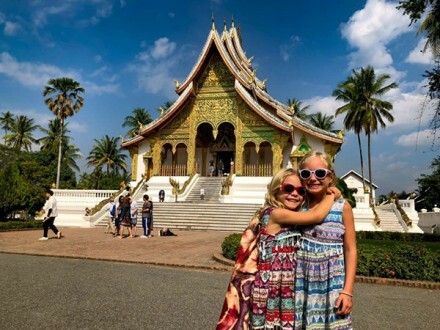 For distance, preparing for a trip to Vietnam includes many things, such as checking the weather for the time of year you will travel and making sure all of your documents are in order. Otherwise, you must to exchange your currency money to Vietnam Dong and remember the face of money paper to avoid pay wrong before making the trip. The most important you need to get ones are passport and valid visa. If you don’t already have a passport you need to go to your local post office and apply for one. 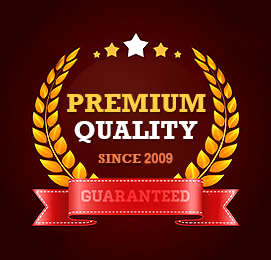 Most people can get a visa by applying for one online through reliable websites like Vietnam-visa.com. Don’t wait until the last minute to gather these items as they can take a while sometimes. Especially, you are considering when you prepare necessaries for places to visit in North Vietnam. Let’s coming on the period between January and March to see the most colorful festivals taking place all over the country, including Tet festival. 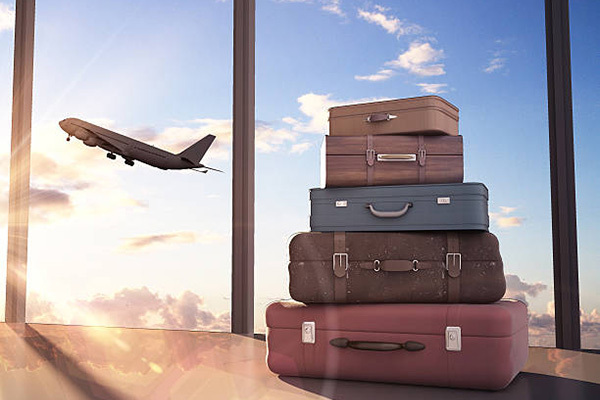 Certain precautions need to be taken if you travel in late January and mid of February to best enjoy the time. 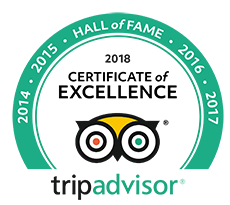 You can search several festivals and events on the internet or ask the guided tour. There are Christmas, the Vietnamese Lunar New Year and the Tet holiday which celebrates many holidays. The Lunar New Year, or Tet, occurs anywhere from early February to mid-February and this may not be the best time to visit as most people stay home to celebrate with their family. Generally, people that work and have business take about four days off to celebrate. 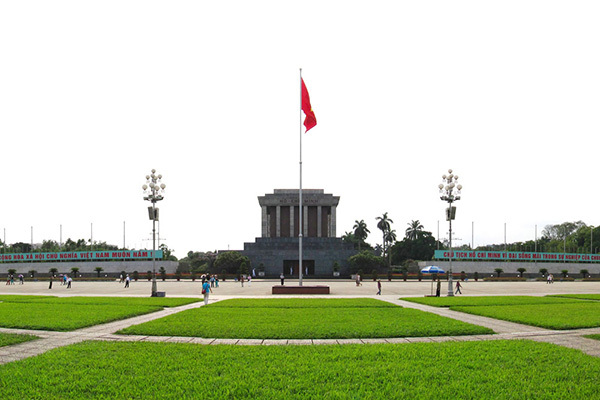 As you known, Hanoi is the political, economic and cultural heart of Vietnam which is located in the Red River Delta in the center of North Vietnam. 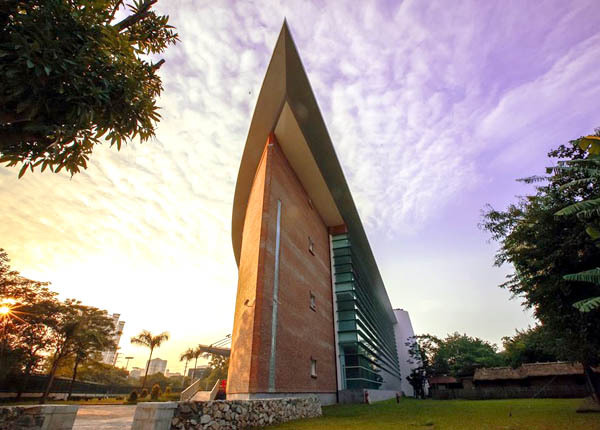 You move to the Vietnam Museum of Ethnology. The museum focuses on the 54 officially recognized ethnic groups in Vietnam, you will know more about the culture and Vietnamese people. Especially, you should note the opened-time of some destination, example, the museum of Ethnology is closed on Monday so the alternative site to visit for you is Hoa Lo prison. If you want to visit both, you should arrange your time. You should take a cyclo tour of Hanoi Old Quarter will complete your trip to Hanoi. You can grace the views of Hoan Kiem lake when sitting on a cyclo. Next, Hanoi Old Quarter is constructed old-styled streets full of antique brick houses seem to nostalgically resist the historical of time while it is still actively trying to adapt to the dynamic atmosphere of the modern city. 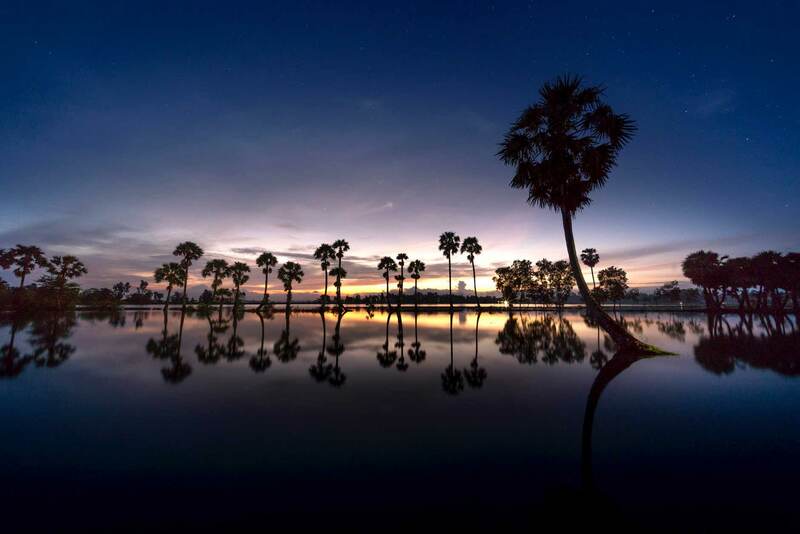 You should remember that Vietnam is a tropical country so you can follow the weather forecast before deciding trekking and contact with local tour guide about the root. It means that you need to bring some necessaries for trekking mountains like clothes, shoes, medicines and so on. Come to Cat Cat village, you will enjoy beautiful landscape and scenery along the road. 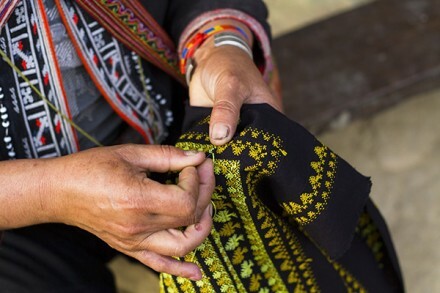 Cat Cat village is the home to Black H’mong and Red Dzao located at the foot of Fansipan Mountain – “the Roof of Indochina”, where you enjoy stunning landscapes of the mountain and see traditional clothing being made, hemp being dyed and women weaving. Especially, it is an ideal place to purchase some traditional souvenirs and handicrafts right from the craftsmen. In fact, it is also a good opportunity to purchase some traditional souvenirs and handicrafts right from the craftsmen such as twisting flax and weaving fabric. Next, you will arrive in Y Linh Ho village where is one of the places to visit in North Vietnam the place of Black Hmong people. You have one more rest before climbing toward the main road. They wear the dark clothing and navy dyed with indigo which often seen in the hands of older H’mong women. Their houses are built on their farmland and on the mainly cultivate corn, dry rice on the steep hillsides. As a result, the only way to get to the village is on foot on the road. The stone church is situated in the central position; the backside of the church relies on Ham Rong Mountain and its front side overlooks the lowland. It’s said that the direction of the church is the east, the direction of the sunrise. According to the old conception, it’s regarded as the light direction of the God that brings the good things to the humans. The Church was made from the shaped stones in combination with a mixture of sand, lime, and molasses even from the smallest details; that makes the church becomes more special. 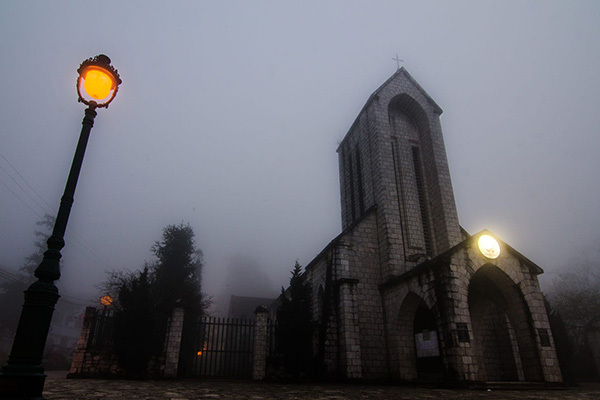 Currently, Sapa Stone Church is a religion attracting both of locals and foreigners. Moreover, it is also the main place for keeping many cultural traditional activities of the ethnic people in there. Bac Ha market in Northern Vietnam is always the colorful meeting places for the hill tribes and is the place you shouldn’t miss in Hanoi to Sapa tour. There are many ethnic groups like Flower H’Mong, Nung, Day… concentrate on the market with multi-color traditional clothes. Come here you can buy souvenirs for your family and enjoy the particular foods. 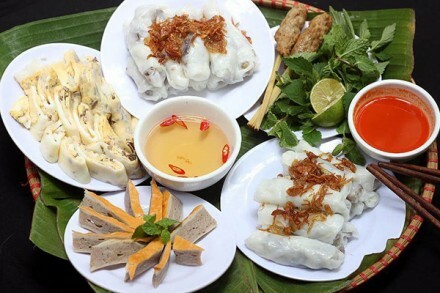 There are many delicious foods such as Bamboo cooked rice (Com Lam) cooked by sticky rice, five-colored “Xoi Nam Mau”, chicken of Mong ethnic people, fruits,… After that, it is convenient if you find out the relaxing place to get away from the tourist crowd in Sapa, or simply fond of taking unique photos, Bac Ha can be your option. 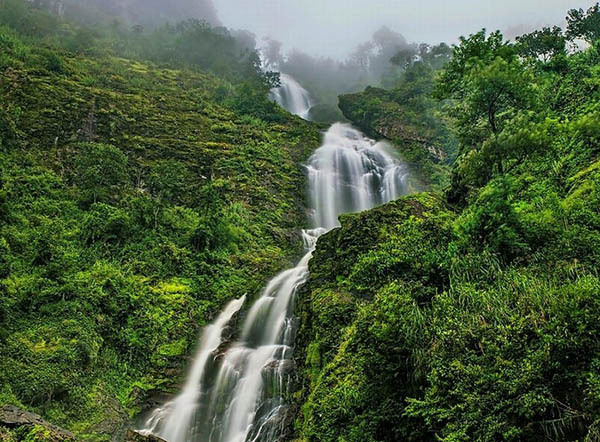 The Silver Waterfall is located about a half hour from Sapa town which offers stunning views of surrounding mountains and lush forests belonging to Hoang Lien National Park. The falls are an original of the Lo Sui Tong mountaintop. Many people say the cascading falls appear as a mighty white dragon peering down onto the valley. If you have more energy, you can come to the Heavens Gate which is the highest stretch of road in Vietnam as well as the provincial border of Lao Cai. At around 3:00 p.m, you will get back to your hotel and have your own free time before being transferred to the station for your night train back. Then you will finish the best trip in the famous places to visit in North Vietnam. What Is the Best Month to Visit Sapa Vietnam?